Saint Jude is the patron saint of hopeless, impossible or desperate causes. He died a martyr and was also one of the twelve apostles. 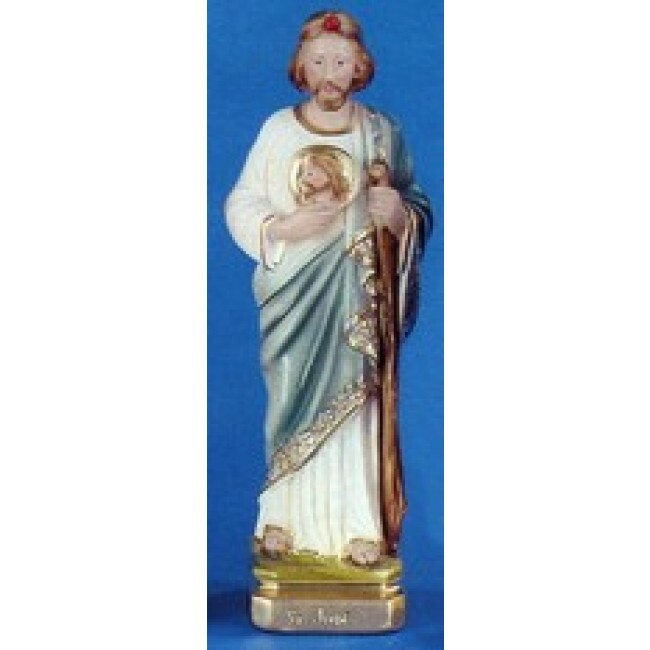 The Saint Jude statue is a beautiful devotional piece that will look lovely on your home altar or bureau. It is said that those that pray to St. Jude receive extra blessings in times of great need. The statue makes a fantastic gift for anyone in need of a little extra help. The piece comes boxed for convenience.